Title Recreation Grounds, Cor. of Folsom and Twenty-Fifth Sts. San Francisco [graphic]. Location Folder: S.F. 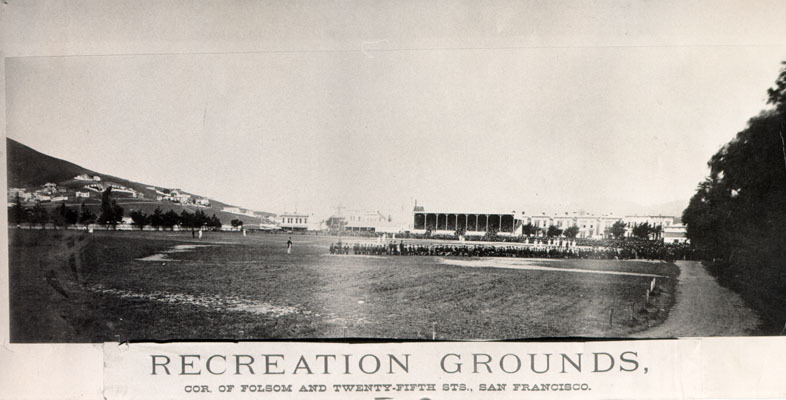 Stadiums-Recreation Grounds (25th and Folsom).